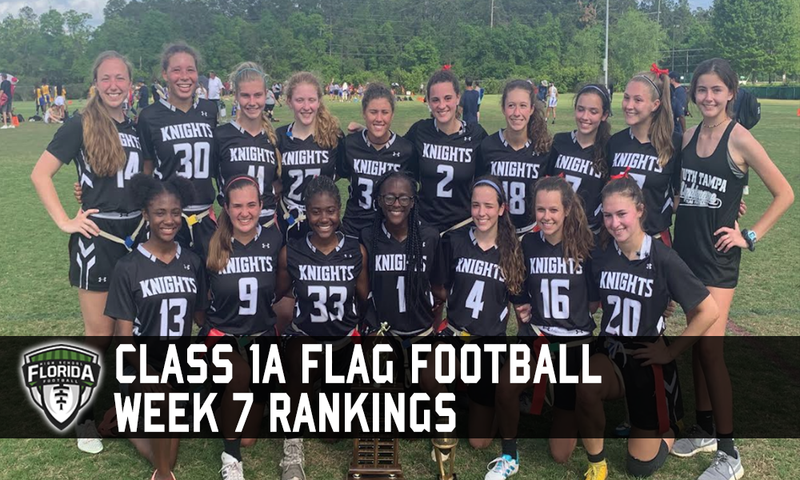 NOTE: The Knights keep on rolling through the season, easily taking down Tampa Catholic last week to move to 10 wins on the season and also carrying the state’s longest win streak which extends back into last season since their last loss at the Capital City Classic. The Knights have Armwood and 2A ranked Steinbrenner on the schedule to close out the regular season with the No. 1 seed in the District 1A-7 tournament in hand for next week. NOTE: The Cougars defeated Madison County soundly last week to secure the No. 1 seed in District 1A-2. This week FAMU DRS and 1A ranked Rickards is on the schedule this week to close out the regular season. NOTE: Another week and another pair of wins for the Blue Devils which leaves them with just one more game for the regular season with rival Fleming Island on the schedule. Next week the Blue Devils head into the District 1A-4 tournament with the No. 1 overall seed. NOTE: The Spartans now have the No. 1 overall seed in District 1A-14 after defeating Carol City last week and have one more game on the regular season schedule with Class 2A No. 2 Park Vista on the schedule after Mater Academy has dropped off the schedule due to makeup district games. NOTE: The Raiders locked up the No. 1 overall seed for the District 1A-11 tournament with wins over Fort Pierce Westwood and Pahokee last week and have one game remaining this week 2A ranked Seminole Ridge, a team they defeated last year. NOTE: The Falcons only got one game in last week against Treasure Coast which they won, while the game against Pembroke Pines Charter was scrubbed for various reasons outside of Jensen Beach’s control. The Falcons wrap up the regular season with games this week against Fort Pierce Central, Dwyer and South Fork. NOTE: Things finally caught up for Edison as they were defeated in district play by a very-talented Miami Northwestern squad. As such Northwestern ends up with the No. 1 seed in District 1A-15 while Edison falls to the No. 2 seed. NOTE: The Seminoles took their first loss of the season to a Lincoln squad that had lost five straight games to slide to the No. 2 seed in District 1A-2. However, not all is lost on the season and the Seminoles will look to bounce back this week with games against Leon and Gadsden County to close out the regular season. NOTE: The Longhorns grabbed wins over Vero Beach and Treasure Coast last week to continue their winning ways. This week a rivalry showdown with St. Cloud is on the schedule along with another game against Osceola (Kissimmee) to close out the season. NOTE: The Indians played four games (one was a make-up game, and another moved up on the calendar) and won all of them easy to capture another season with double-digit wins. The Indians have one game this week with Navarre to wrap up the regular season before going into the District 1A-1 tournament as the No. 1 overall seed.